Navigating the waters of car insurance in California can be tricky. To help you on your way, we’ve assembled some basic information about driving in California. Below you’ll find resources on car insurance, licensing information, and fun facts about the state. Just looking to get an auto insurance quote? Head over this way. Drivers in California must show financial responsibility – usually, this means drivers must carry proof of car insurance. In California, this proof can also take the form of a $35,000 deposit with the DMV, a $35,000 surety bond, or a DMV-issued self-insurance certificate. You must carry this proof with you at all times, in case you are in an accident or stopped by the police. Medical payments, collision insurance and comprehensive coverage are not required by law in California. However, between medical bills, bumper damage and possible lawsuits, you may wind up owing far more than the state minimum coverage is able to cover. Keep this in mind when you’re shopping, and be sure to get the most appropriate coverage for you. Looking for a discount on your car insurance? Many companies and institutions in California offer affinity group discounts to their employees and members. If you’re associated with one of these, you may qualify for an affinity group discount with one or more major insurance companies. Make sure you don’t miss out: Ask your employer if the company has a business relationship with any insurance companies. To learn more about the requirements and penalties, visit the California Department of Insurance. There’s a lot to things to worry about when you have a child – how to put your child safely in a car seat is something all parents worry about at one time or another. Learn what California’s Car Seat Laws have to say on the matter. Read our California Car Registration and Licensing guide to earn what steps you need to take when getting a California driver’s license, registering your car, and more. California is known as “the strangest state west of New Jersey,” and car insurance in California is strange too. The nation’s most populous state has some unique car insurance laws that cause wide variations in how much a policy costs. That means it’s especially essential for California residents to shop around for the best deal on car insurance. We’ll show you what we mean with this California auto insurance comparison chart. Car Insurance in California is fairly affordable, averaging around $841 annually for liability only. But that won’t mean everyone pays low rates. Review below to see how location, gender, and age can affect your premiums. Averages below include policies with full coverage and with state minimum only. Which Cities Have the Most Expensive Rates? We analyzed quotes from drivers across California and found some of the most expensive cities to insure your car. Are you getting the cheapest car insurance rates? How Does Age Affect Your Premium? By analyzing premiums by generation, we find that the silent majority holds the lowest. High-risk, millennial drivers top our list as the most expensive generation to insure. Will Your Gender Dictate How Much You Pay? It’s good news if you’re a female driver in California. Men are paying more for car insurance across the state on average. This might change, however. As of June 1st, 2019, car insurance companies are forbidden from rating consumers based off of gender. As a result it’s possible that men could pay slightly less for auto insurance, and women slightly more. This is in line with previous regulatory changes in California car insurance. As a consequence of Proposition 103, passed in 1998, a car insurance quote should be primarily based off of a consumer’s behavior, rather than factors outside of their control. We ran the numbers for three different California drivers to show you how dramatically their auto insurance costs can change, depending on the carrier. The quotes are real, although we’ve left out the names of the insurance companies. We’ve created three different profiles to run through our insurance panel. Whoa. There’s a huge difference between paying $83 per month for car insurance and paying $775. Obviously, an older, safer driver will pay lower premiums, but why is this difference so significant in California? Good drivers are rewarded: Car insurance companies make your driving history one of the main factors in calculating your premium. A 20 percent discount is guaranteed for drivers who have been licensed at least three years, have no more than one point on their records in the last three years and haven’t been found at fault in a major accident in the last three years. 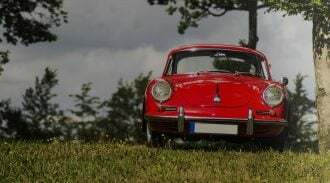 Look at our California car insurance comparison chart and you’ll see that Elizabeth Allclear gets extremely low rate quotes because her record is clean. Joe and Julie Average get low quotes too, because the only accident on their record resulted in less than $1,000 in damage. Your credit doesn’t matter: In most states, insurers use credit-based insurance scores to calculate how likely it is that you’ll make a claim, which can affect your rates. In California, this practice is prohibited (as it is in Hawaii and Massachusetts). So even if Johnny Racer has terrible credit, it won’t bring up his insurance rates. 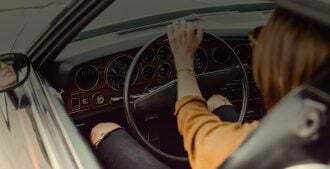 Your location does matter: California car insurance law states that location must be considered a secondary factor in determining rates, making it less important than your driving record. However, your ZIP code still affects your insurance premiums. In California, drivers are required to carry at least $15,000 in bodily injury coverage per person, $30,000 in bodily injury coverage per accident, and $5,000 of property damage coverage. If you don’t want to carry insurance, you have a few other options for demonstrating financial responsibility, such as a $35,000 cash deposit with the state Department of Motor Vehicles or a surety bond for the same amount. What if you can’t afford California auto insurance? Low-income drivers may be eligible to participate in the California Low Cost Automobile Insurance Program. This program is open to people 19 and older who have a valid California driver’s license, own a vehicle valued at $25,000 or less and meet income eligibility guidelines. Find out if you qualify by taking this online questionnaire. What about high-risk drivers? If your driving record is tarnished, you need to shop around for the lowest rate available. In our California car insurance comparison chart, Johnny Racer is looking at monthly premiums as high as $775 because of his age and his two speeding tickets. That’s almost twice as much as the $417 offered by another carrier — and that’s why it’s so important to compare insurance quotes on compare.com before you buy. It’s free, fast and easy. Still got questions? Read more information about California Car Insurance.